What is the true value of volunteering? Volunteering is an investment of time, labor, and generosity of spirit. Volunteers give freely and ask for nothing tangible in return. It’s in this spirit of generosity that Reading Partners’ three founders developed a vision for an organization that could provide free tutoring to kids in need of reading support. Mary, Molly, and Dorathy knew the only way they could meet the needs of students was through engaging the energy of the surrounding community. Now, as Reading Partners has spread across the nation, we are confronted with a challenge of massive proportions: to help change the trajectory of the nine million low-income kindergarten through fifth grade students who are not reading at grade level. Our vision for tackling this challenge harkens back to our roots. Our goal is to rally volunteers to invest in our students’ futures. 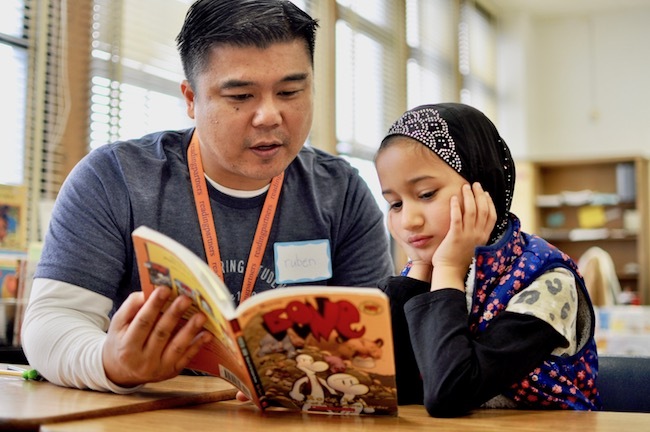 While a lot has changed for Reading Partners over the past 20 years, one thing remains constant: our belief in the unequivocal power and passion of community volunteers. Here are just some of the ways volunteers add tremendous value to our work. Volunteers have an amazing disposition to show up when needed. The ability to mobilize volunteers on a grassroots level enables volunteer-driven organizations to serve more people faster. Volunteers have enabled Reading Partners to meet the needs of students as we expand to new communities. 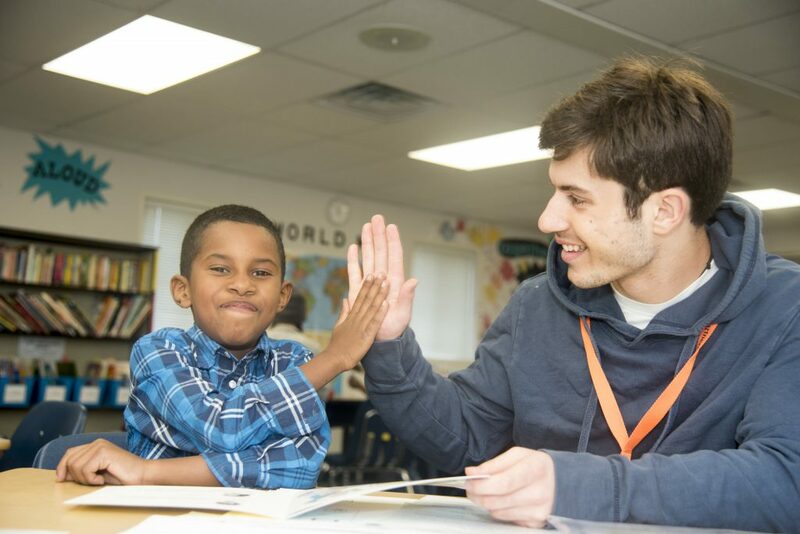 Over the past 20 years, nearly 55,000 community volunteers have cycled through our reading centers to provide one-on-one tutoring to students in need. These same volunteers have delivered an estimated 1.5 million tutoring sessions to our students. Principals and teachers are under constant pressure to produce high-performing students with limited resources. For teachers working in Title I schools in low income communities, they are often faced with larger class sizes and students needing more individualized attention than they can give. That’s where volunteers come into play. Reading Partners volunteers can provide students with focused attention during a 45-minute tutoring session. This model of literacy intervention has diversified the educational landscapes of more than 200 schools across the country each year. Volunteers routinely notice the positive growth in their students throughout the year, but the impact isn’t just anecdotal. Volunteers deliver reading instruction with fidelity and have a measurable impact on students’ literacy development. At the end of the 2017-18 school year, ninety percent of Reading Partners’ youngest (kindergarten through second grade) students were developing mastery of key foundational skills needed to read at grade level. Reading Partners’ anniversary symbolizes more than 20 years of service. It represents endless stories of students building confidence in reading with the caring encouragement of their tutors. “I have been working with the same student over the last two years. He sometimes appears angry or upset when he comes to Reading Partners, but he always leaves happy and smiling. I leave happy and smiling too,” says a Reading Partners tutor in the San Francisco Bay Area. The relationships volunteers forge with their students encourages students to feel more comfortable and confident with reading. 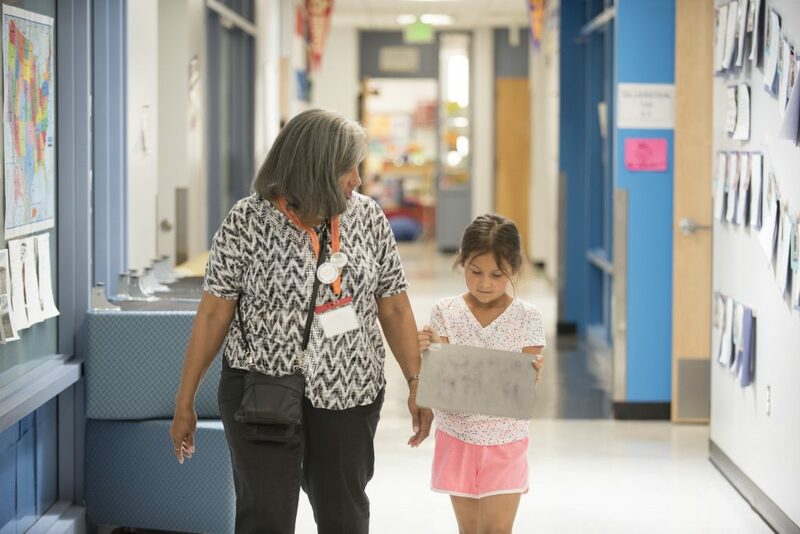 Volunteers care for their students and want them to succeed. A relationship that can’t be replaced by a reading app or computer program. In a small-scale study by education research firm, Child Trends, results showed that positive, warm student-tutor relationships were favorably associated with students’ growth in school engagement and persistence. 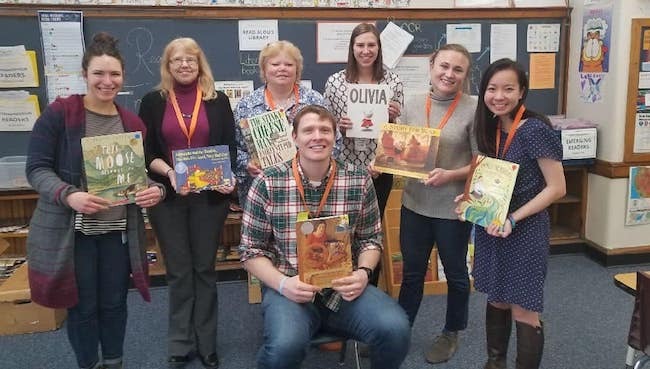 Furthermore, students demonstrated statistically significant improvements in reading engagement, social competence, persistence, and self-control during the program.